The new cap, which will make special oil jars a thing of the past, allows you to control the amount of oil coming out simply by turning the bottle: one way round, a fine flow of oil ideal for dressing salads and the like, and the other way round a larger flow for cooking. 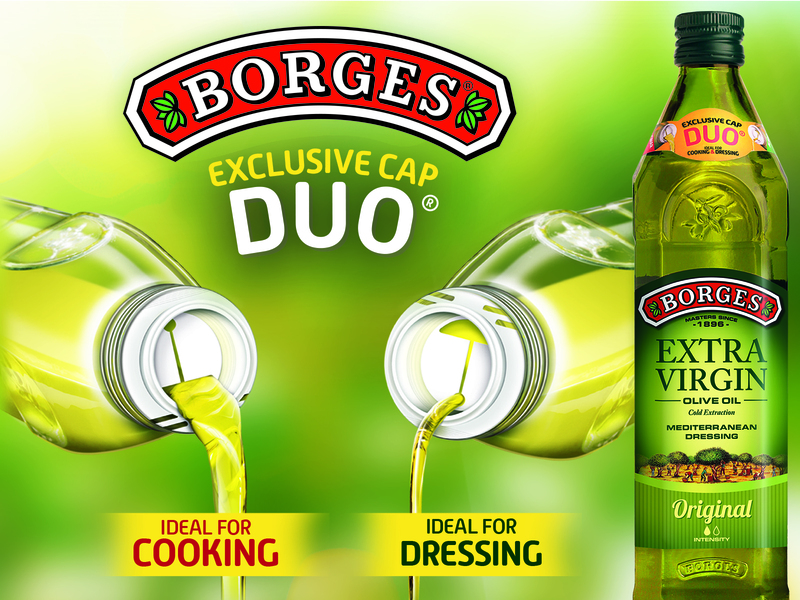 Borges launches DUO®, a new cap with a double opening, perfect both for cooking and for serving olive oil thaks to its unique design innovation. The smaller opening is ideal, for example, for dressing salads because it gives a fine, constant flow of oil. The larger opening, on the other hand, allows you to pour a larger amount of oil in less time, ideal for cooking. Thus, DUO® guarantees the right amount of oil and a better user experience, making it easier to use oil in different ways, from a single container thanks to its double cap, making it convenient, practical and functional. This means you can use the oil both in the kitchen and at the table without having to put it into the oil jar. The new DUO® cap, is 100% made of plastic and has no metal parts which could oxidise the oil and affect its quality. It also avoids splashes, stains, spills and wasted oil. RDI, which we see as a way of anticipating and meeting consumer needs, is essential to Borges Mediterranean Group and all its brands. DUO® adds value to the user experience to make people’s everyday life easier. 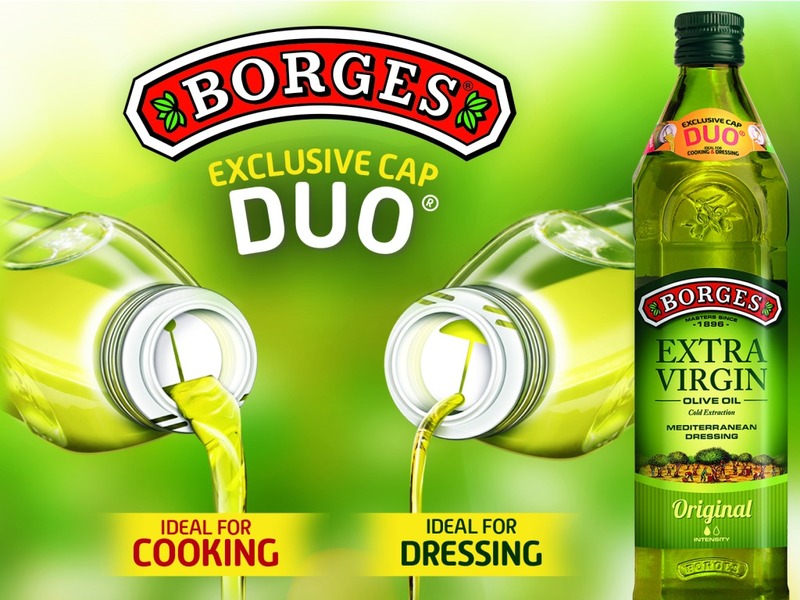 This innovation comes at the same time as a process of updating the image of the Borges oil ranges. The change will mean more information, presented in a clearer, more intuitive, transparent way to include everything the consumer needs to choose the right oil for every use.